In honor of Brain Injury Awareness Month, NeuLife expands Supported Living Program. MOUNT DORA, FL, March 1, 2017– As an industry leader in brain injury rehabilitation, NeuLife brain injury facility is dedicated to raising awareness of traumatic brain injury (TBI). This year, NeuLife celebrates Brain Injury Awareness Month by announcing the expansion of their Supported Living Program, as part of an expanded service offering. According to the Brain Injury Association of America, nearly 1.7 million people sustain a brain injury in America each year. While most people who experience a brain injury are able to return to their daily lives, at least 125,000 are left permanently disabled as a result of their TBI. The Supported Living Program at NeuLife is a temporary (respite care) option or a permanent living solution for patients with brain and other neurologic injuries who aren’t able to safely return home. 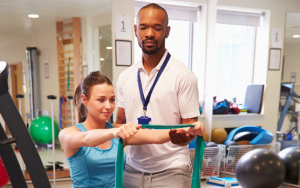 NeuLife – the leading brain injury facility – understands that every patient is unique – this mindset is the driving force behind their individualized approach to care. Their supported living program is an alternative within the post-acute phase of recovery that applies “real life” environments uniquely designed to promote independent living skills and maximize self-reliance. The daily routines provide a sense of security and familiarity which can help individuals who have had repeated difficulties functioning in various environments.